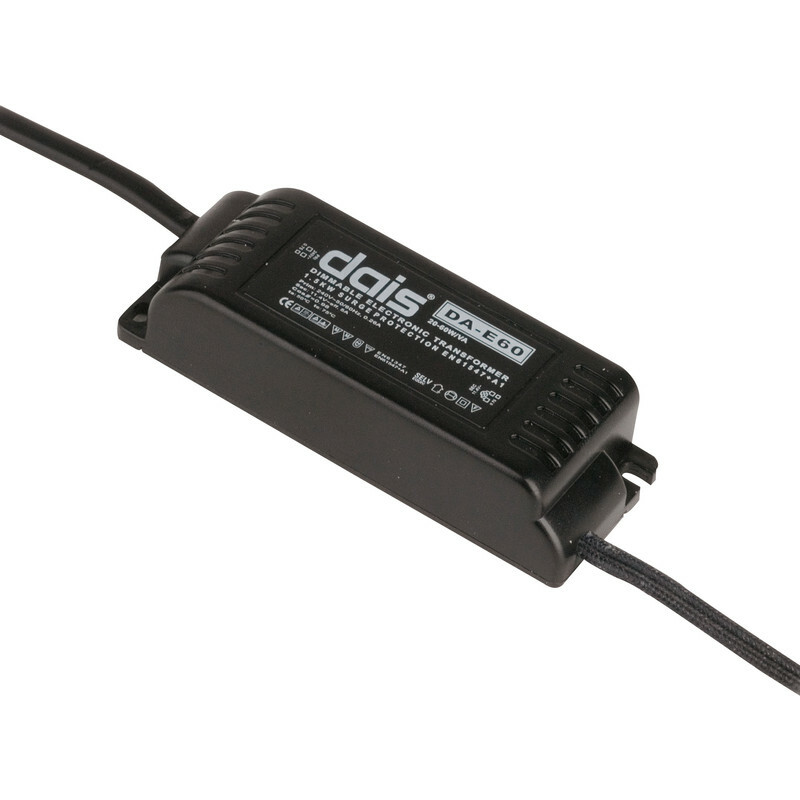 Dimmable Electronic Transformer 20-60W/VA is rated 3.6 out of 5 by 18. Rated 1 out of 5 by SecretSquirrel from Bought 2 and neither work? I bought a couple of these transformers and found on testing them before installation, that neither produced any output voltage? I shall be returning them forthwith. Rated 1 out of 5 by Steve2 from Not good quality... I bought 10 of these transformers around 7 years ago and found the quality ok, however 3 had gone faulty in the meantime which is acceptable. Recently bought more to replace the faulty transformers and straight out of the box before installation, the fabric insulation on the low voltage wires attached to the transformer is fraying. One is so bad that the plastic underneath has also split and is exposing bare conductors. Rated 5 out of 5 by Jakir from Easy to install Bought few of this for the Electician and was very easy to install in the bathroom. Rated 1 out of 5 by Robin 344 from Faulty When I connected it and switched on the lights (12v MR11) there was an audible bang it tripped the circuit breaker and permanently damaged the dimmer switch. Carefully checked wiring and all OK. All other lights in the circuit working but no output from this transformer. Replaced the transformer with a different make, works fine after replacing the dimmer switch as well. Rated 5 out of 5 by Ernie239 from Perfect item Easy item to install. It is the necessary part to rectify ceiling spot lights. The very prompt delivery was an added bonus. Rated 4 out of 5 by Paul N Yorks from Product does the job. Used for low voltage bathroom lighting, easy to fit with no problems. Rated 4 out of 5 by Roy C from Good value Bought to replace a failed down light transformer. Easy to install.